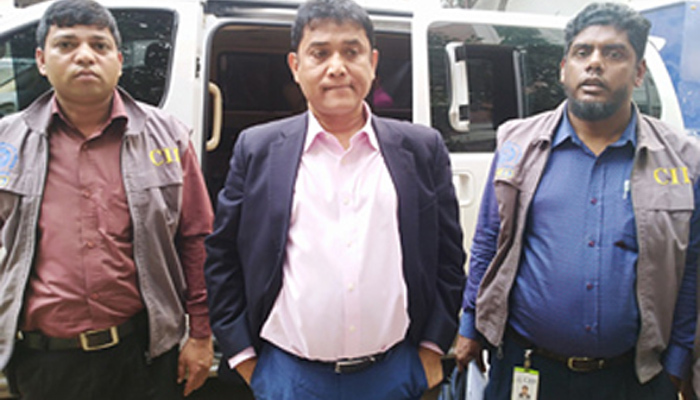 Criminal Investigation Department (CID) arrested managing director (MD) of SA Group Md Shahbuddin Alam from the city’s Gulshan area on Wednesday on charge of loan forgery. Assistant Superintendent of Police (ASP) Sharmin Jahan of CID (Media) said a team of CID (Organised Crime Division) arrested the MD of the Chattragram-based group of companies. She said Shahabuddin was arrested in connection with a case filed by Bank Asia with EPZ police station of port city. The Bank Asia authorities filed the case in 2017 for Tk 27 crore loan forgery, she added. Shahabuddin was produced before a Dhaka CMM court in the afternoon. Sources at the CID headquarters said Shahabuddin Alam had taken loans of over Tk 35000 crore from various commercial banks and financial institutions for running his business. He had taken loan of Tk 709.27 crore from Bank Asia branch of CDA Avenue Branch.